Attention journalists! Want a free resource that will help you locate data for better reporting? Read this update, originally posted by June Park at Creative Commons (original post here). This Saturday’s International Journalism Festival in Perugia, Italy will unveil a months-long collaborative effort — the Data Journalism Handbook, a free, CC BY-SA licensed book to help journalists find and use data for better news reporting. A joint initiative of the European Journalism Centre and the Open Knowledge Foundation, the collaborative book effort was kicked off at the 2011 Mozilla Festival: Media, Freedom and the Web — which gathered reporters, data journalism practitioners, advocates, and journalism and related organizations from around the globe. Over three days, participants researched, wrote, and edited chapters of the handbook. Contributors include the Australian Broadcasting Corporation, the BBC, the Chicago Tribune, Deutsche Welle, the Guardian, the Financial Times, La Nacion, The New York Times, ProPublica, The Washington Post, and many others — including Creative Commons. Creative Commons contributed to various pieces of the “Getting Data” section, including “Using and Sharing Data: the Black Letter, Fine Print, and Reality.” You can preview the outline here. Now more than ever, journalists need to know how to work with data. From covering public spending to elections, the Wikileaks cables to the financial crisis – journalists need to know where to find and request key datasets, how to make sense of them, and how to present them to the public. Jonathan Gray, lead editor for the handbook, says: “The book gives us an unprecedented, behind-the-scenes look at how data is used by journalists around the world – from big news organisations to citizen reporters. We hope it will serve to inform and inspire a new generation of data journalists to use the information around us to communicate complex and important issues to the public. 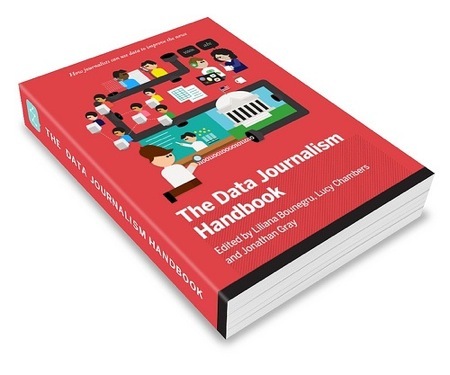 You can sign up to get the handbook when it goes live at http://www.datajournalismhandbook.org. The entire handbook will be available for free under CC BY-SA, with an alternative printed version and e-book to be published by O’Reilly Media.